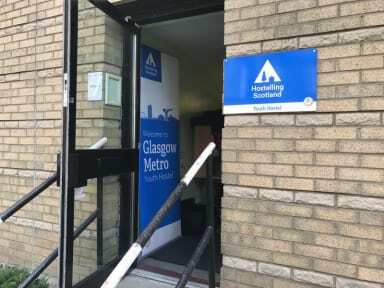 Perfect for a summer city stay, Glasgow Metro Youth Hostel is open from June to August in Glasgow School of Art's Margaret Macdonald House, minutes from the city centre and Bath Street with its many bars and restaurants. 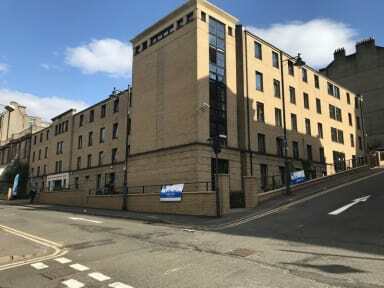 The hostel offers great value, city centre accommodation for backpackers, students and groups travelling around Scotland. All bedrooms are single and almost half are en-suite. WiFi is free and all rooms have access to a kitchen equipped for basic self-catering needs. Staff are wonderful. Thank you Declan for all your help. Room had ensuite and was in an apt style setting with a communal kitchen. Good location. Laundry onsite. It was an easy walk from train station, maybe 15 minutes. I would definitely stay here again. Great spot and getting parking too was a bonus. Great idea to use student accomodation in summer. Surprised by how nice this place was! (at this very affordable price) Would definitely stay there again. Ok, the furniture was old and used and there could have been more water in the shower, but in general, there was everything you needed. And the kitchen was spotlessly clean. The location was perfect: within a short walking distance to the city centre, but still quiet, barely any traffic at night. This wasn’t an actual hostel, it’s more of a student accommodation— but as such, it’s a great place to stay if you are looking for somethig that’s not too far from the rail and bus stations. For me, it was perfect— great price for a private room! All the furnishings are pretty old, and the shower smelled odd, but sheets were fresh and clean and I slept well there! Bring earplugs, because you can hear when all the doors open/shut... Thin walls. It was perfect for one night. Simple place to sleep. It is great for solo travelers or groups who want their own room. The single room was basic, affordable, and all I needed. This isn’t the type of place I’d hang out in, there are no common areas or people hanging out. The staff were great though! Clean and comfortable. Bathrooms are a bit small but clean enough. Easy and quick walk to city center. Not great if you're looking to meet people but very safe feeling. Thought it was a bit overpriced for dorm rooms. This hostel is very good if you're traveling alone and want some space for yourself. It doesn't have any atmosphere and you don't even see the other guests during the day. The location is also not good, it's on top of a cliff and a little far from the centre. Beside this, the room was spacious and clean, and the bathrooms were OK too. It's a very secure place, you have to open 3 doors to get inside.